When designing a web site, you always want to use the GIF or JPG file format. These file types are composed of 16 and 256 colors, respectively, and are not very big. The smaller the files, the faster they download to the visitor's web browser. Creating these small web graphics is crucial for those visitors with dial-up internet service, and it also saves you on your bandwidth usage. The GIF graphic file format only supports 256 colors, and will only use 16 at a time. The JPEG supports millions of colors, and uses 256 at a time. The GIF works best for logos and icons, and the JPG works best for photographs and higher resolution images. The JPG file format supports many shades of the same color, this is helpful when wanting to display an image that has many different shades of the same color, such as the sky, which has many different shades of blue. When converting a photograph of the sky to JPG it will come out looking like what the photograph actually looks like. If you try to convert the photograph of the sky to a GIF that only supports 256 total colors, some of these shades of blue will have to be eliminated, and the closest blue supported will be used. Why not use JPG for all of my files you ask? The JPG format is great for quality and small file size, but it is that JPGs cannot be set as transparent. Also, if your graphic that you are converting has a large area of a solid color that is not one of the 216 Web safe colors, the JPEG format may create a dither pattern. Dithering appears as a pattern of tiny dots on the screen, and is not pleasant to view. 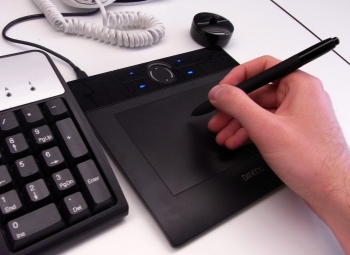 For the advanced graphic designer, I would recommend using Adobe PhotoShop, but if you are looking for a powerful imaging program at an affordable price that is easy to use and doesn't require a lot of experience you should try JASC Paint Shop Pro.